Introducing the Madison Blouse! 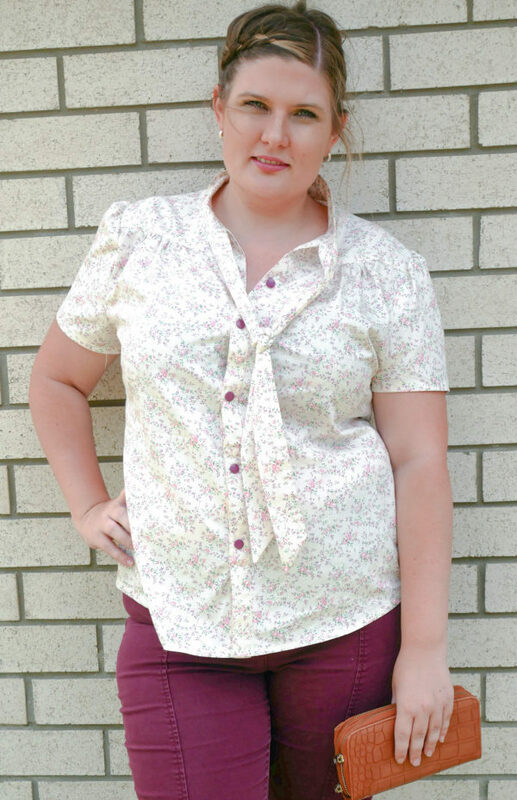 It’s a beautifully finished tie neck blouse pattern with a gorgeous fit. Many different options for you to experiment. Plus it’s all hidden seams (so pretty!) on a sewing machine only but if you want a faster sew, there’s also a serger option. The pattern instructions are very thorough with lots of tips so anyone can follow them. This is the ladies version but it’s also available as a matching ladies pattern so you can do matching “Mommy and Me” sets! Get the girls version here. Or get both as a bundle here. Plus there is the most adorable 18 inch Doll version too! It’s matching heaven. Very fun, and because it was without darts, it came together very easily. Great result for a relatively simple pattern. It is really the best quality pattern. It is very detailed and easy to follow and with a lot of options and interesting details! I will definitely make a dress and a blouse for my daughter too! It’s something I normally don’t wear but just love the final result. 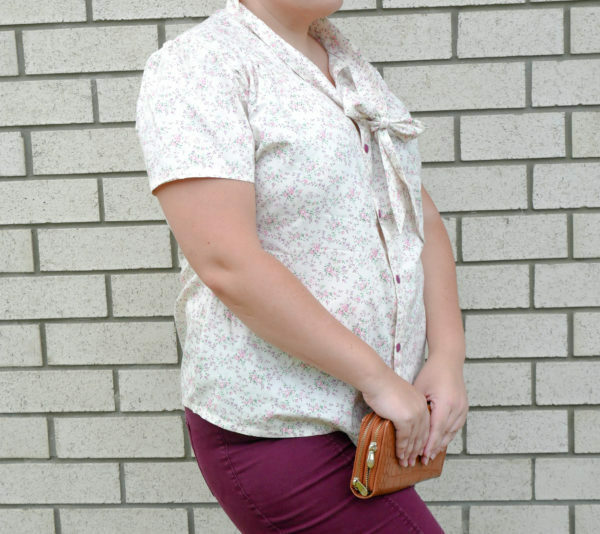 I loved the retro look, and trying new things like gathering and buttons, and using a lightweight fabric for humid Texas summer. It’s all about fabric choice, you can dress it up or down. 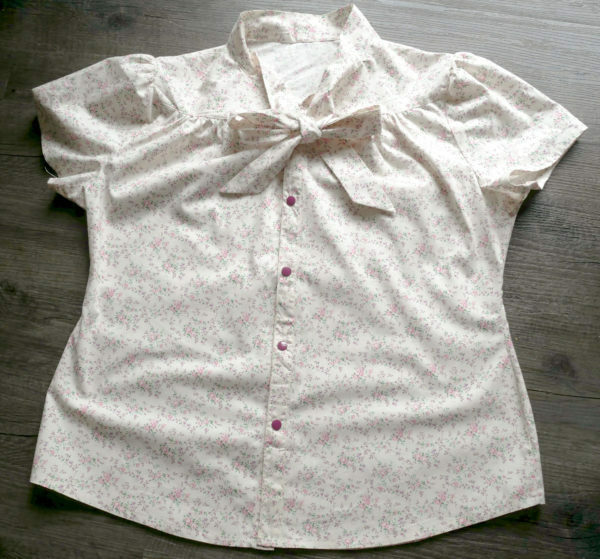 This pattern works best with soft, drapey fabrics, which can be difficult to sew. Be sure to test out your stitch length and tension settings on a scrap piece to be sure you don’t get lots of pulling and puckering. Once the pattern pieces fit seamlessly I was hooked because that’s where I get discouraged. It’s a well-written and versatile pattern. It’s a pretty femine staple in anyone’s wardrobe. Can be used office wear to evening wear. It is a button down that fits perfectly and doesn’t gape at my bust. Which is a miracle! It is surprisingly simple to produce a garment that looks like you paid top dollar. Beautifully drafted and broken down for less experienced sewists to complete! It is a super cute shirt/dress with easy to follow instructions and lots of great options. 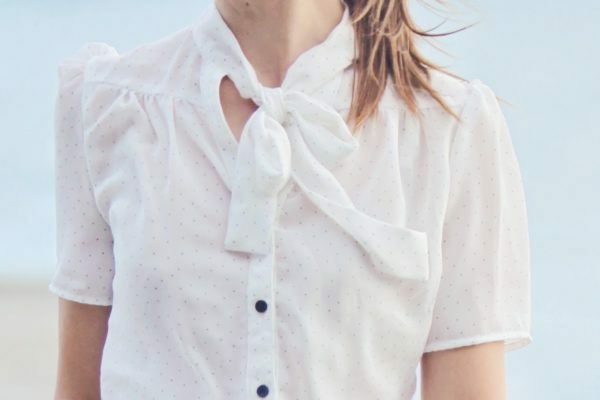 A highly recommend purchase for a pretty, feminine blouse with loads of options to make it uniquely yours. 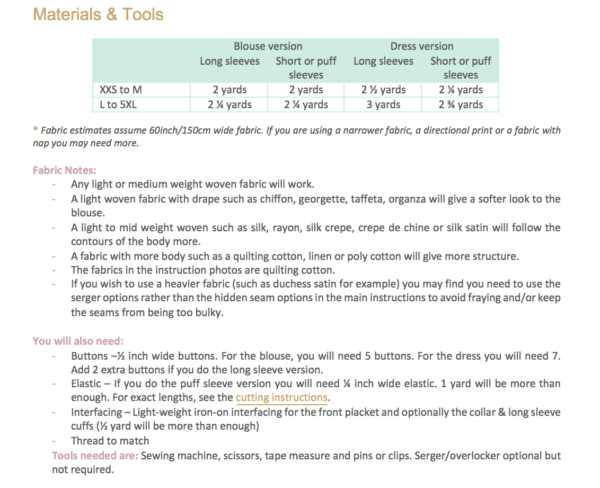 Plus you can tailor make it to your measurements, so it will actually fit. (I am 6 foot tall, so normally everything is too short or flares out to early and I don’t find it flattering on me) I absolutely love this as I could add my extra 3″, and am loving wearing it. I was impressed with the end result, it looked like a store bought garment . A great, well built garment. I love that I used some new techniques. Very easy sew, instructions on point and great design. 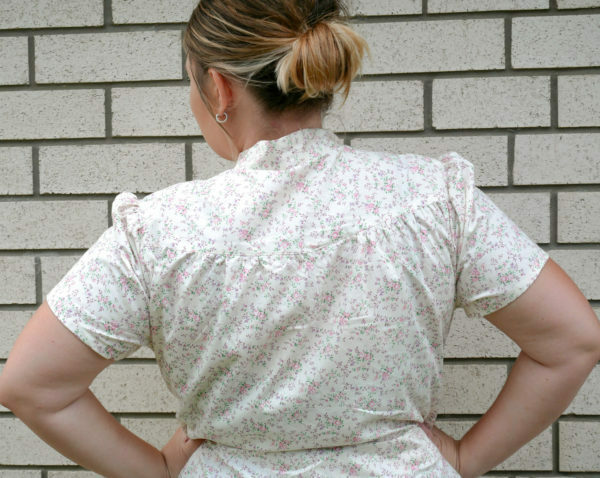 This pattern is fabulous because, no matter what your sewing level, it has options that are quick and easy but also some that will challenge your skills! I totally had an “I DID THAT! !” moment when I was finished. I mostly work with knits so the idea of a woven blouse was intimidating to me. I love that you gave me that sense of accomplishment! Love how well the pattern goes together. It’s fun to sew and super quick! It may look a bit intimidating for an absolute beginner, but it’s so worth the extra “effort”, the end result is stunning! I had such great fun making this blouse, I loved the whole process! 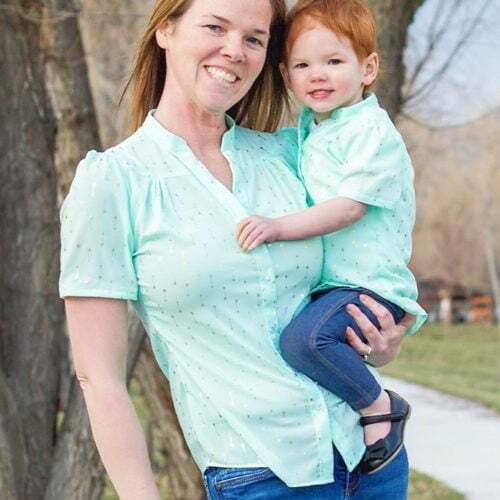 This is a perfect pattern for anyone looking for a wardrobe staple button up shirt, or cute relaxed fit shirt dress, with some very cute additional features/options. I liked the no trim aspect of the PDF, and I also enjoyed the cute and easy collar. 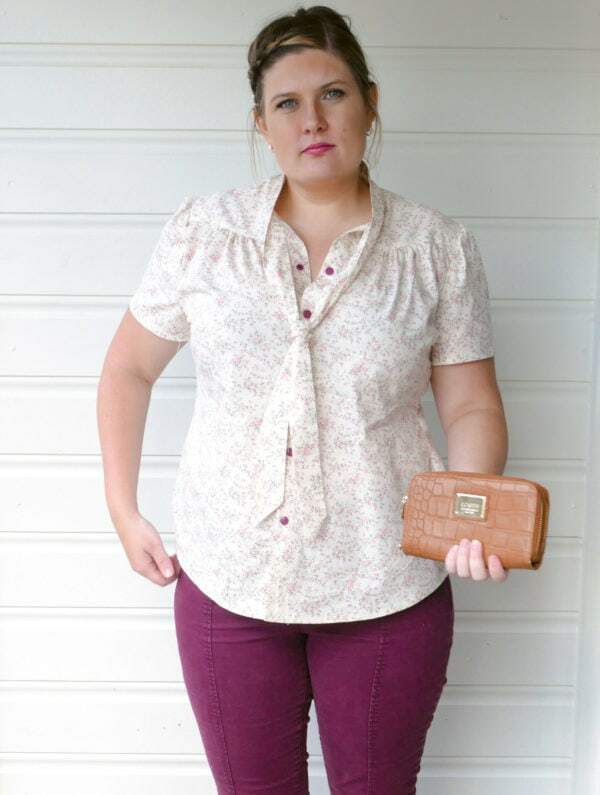 This blouse was my introduction to Rebecca Page patterns – I’ve made 3 since Spring 2017! I love the flow, the look, and the fact that I can dress it up or down. 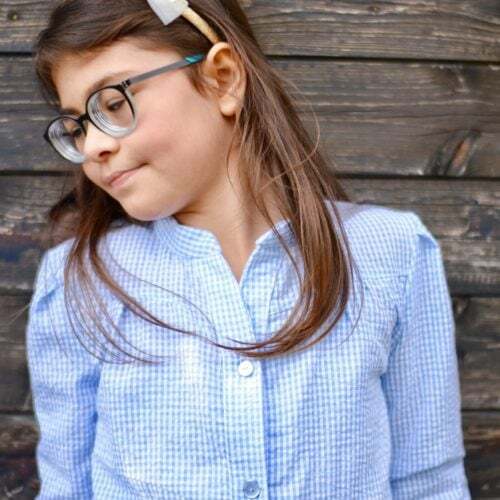 The pattern is easy to follow (albheit takes time to sew up) – and worth the patience it takes to sew, press, and sew up this softly stunning top! 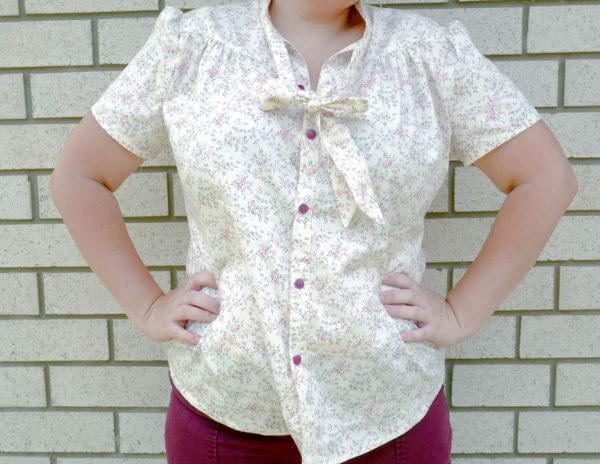 I just made a Madison blouse and I absolutely love it. You will love this pattern! The Madison blouse is perfect for layering or wearing on its own. 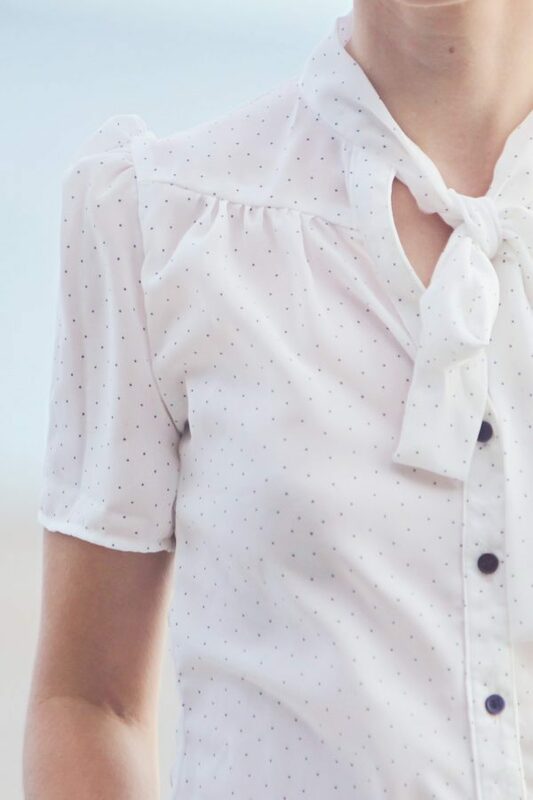 The details of the sleeve top give this beautiful fitting blouse a lovely look and silhouette. I have paired my Madison with the Tara Jacket for a really polished look all thanks to Rebecca Page excellent drafting and instructions. 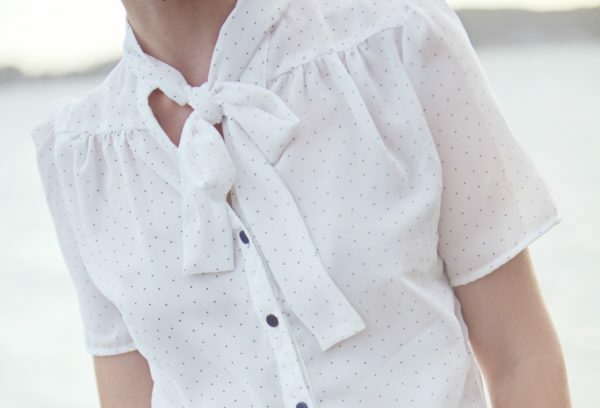 I love this classy blouse pattern! All the nice details make the look so sophisticated! 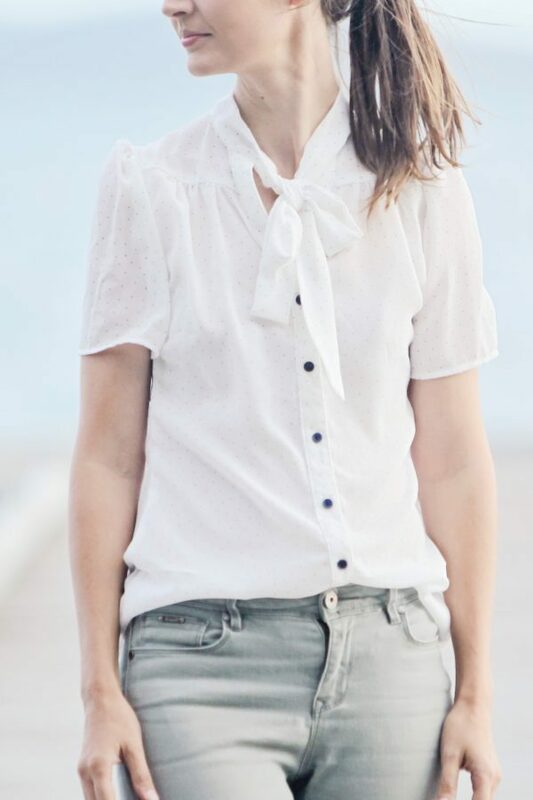 Beautiful feminine blouse with classic details, so many options to create any kind of look you are after. This was easy to sew and the instructions were very clear. This will become a favorite of mine with its many looks, especially the longer lengths! 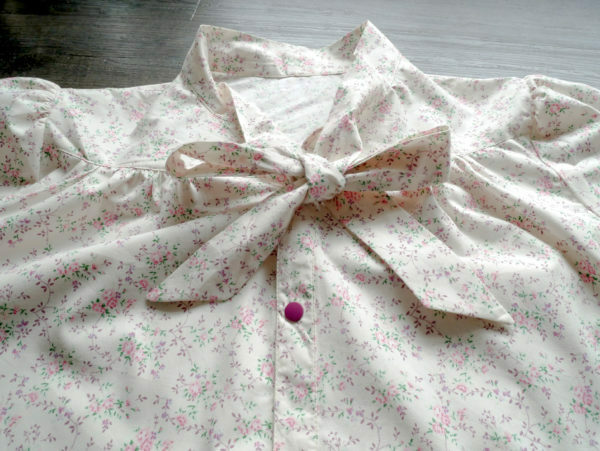 I love blouse but it is always a challenge for me at the bust level. Now, I have the perfect pattern to make my own! Forming a new business, I have been spending a lot of time in meetings and making first impressions. After years as a stay at home Mom, my “business” attire was sorely lacking. 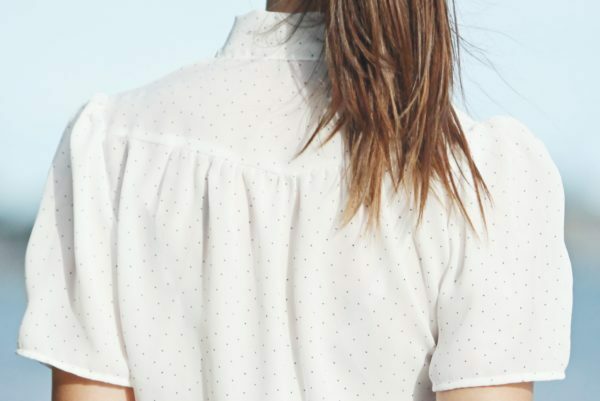 The Madision Blouse is the perfect piece to take me from the board room to social hour. The slim fit is flattering, and gathers (or pleats) in the sleeves and yokes give it a feminine and modern look. Construction is detailed and does take more time then a basic knit project, but the instructions are detailed and well written with accompanying photos. Overall, I am in love with my first Madison and can’t wait to make a dress version! Tag your photos with #rpmadison on Instagram.